Time: 1:00 p.m. to 4:00p.m. Our Talking Circle is not a therapy group. Instead it is a place for all adoption constellation members to talk about adoption and to hear the perspectives of other adoption constellation members which may prove to be helpful in navigating complex adoption relationships and improving self-understanding – all while enjoying a sense of community. Talking Circles originated with Native American tribes and were created as vehicle for communication, sharing of one’s personal experiences and the opportunity to learn from others experiences and perspectives – all of which develops an enhanced sense of community. A ‘talking piece’ is passed around the circle and only the person with the piece has the opportunity to speak. If you do not wish to speak, you simply pass the talking piece to the next person. We will be using a green jasper stone – a valued healing stone symbolizing grounded energy – and we promise a safe, respectful atmosphere. 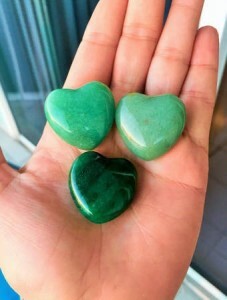 Jasper is said to help us to be less judgmental and to know on a soul level that we are all connected. IAC Counseling Center is offering this service in response to the change in the N.J. law allowing adoptees born or adopted in NJ to obtain Original Birth Certificates. We understand that the opportunity to search and meet birth family members is complex, emotionally triggering, and deserving of support. advocates that worked passionately for thirty years to get the new law passed, we are offering IACCenter Adoption Talking Circle for free, although it will be professionally led like all IAC Center Counseling programs. IAC Center Adoption Talking Circle link and information widely with your personal contacts and via Social Media as we are counting on ‘Six Degrees of Separation’ to spread the word!